The girls in Ms.Flynn's 1st class designed and made Greek masks recently. When theatre first started in Greece, male characters played male and female parts. To show the difference between the two, white masks represented female roles while brown masks represented male characters. 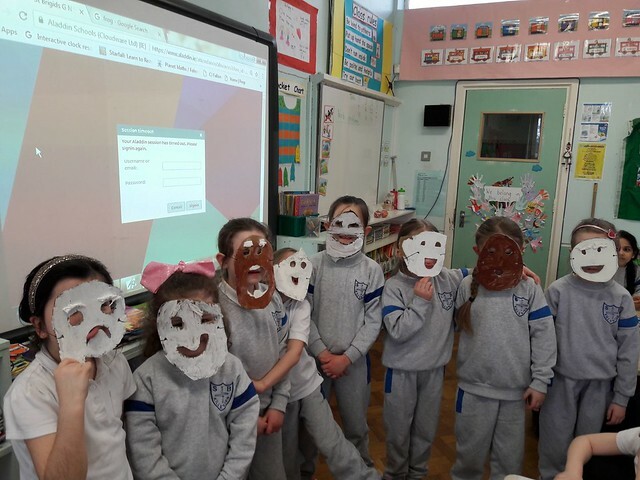 the girls in 1st class looked at examples and noticed that emotions could be portrayed in the masks by changing the shape and size of the eyes and mouth.